Q. I know you’ve talked about vocations for people who are interested in being a priest or a sister, but is it wrong of me to pray for the vocation of marriage? The way some of my friends talk, I think they all plan to live with someone and then decide whether they want to get married. 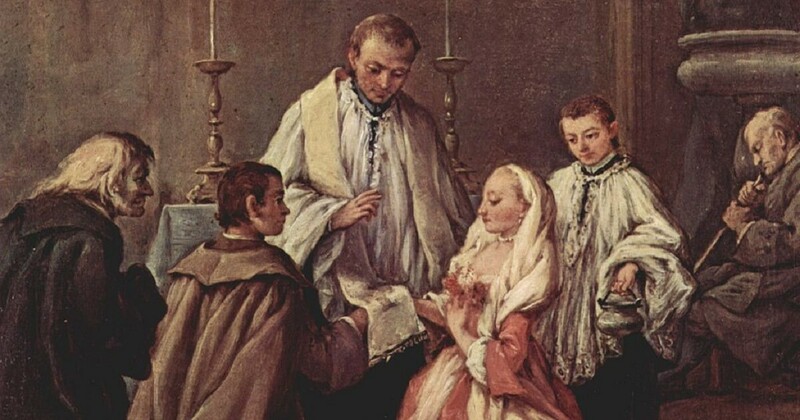 A. I think praying for the vocation to marriage is a wonderful idea! And very much needed today! Let me offer a few thoughts on this. Praying for your vocation is very important. But, in all truth, there may even be something necessary for many people even before they pray for their vocation. Namely, they need to realize they actually have a vocation. Perhaps to some this seems like an obvious statement but I’m guessing that more people than you realize do not even understand the ideal of a vocation as they grow and begin to look at their future. Many just presume they will fall in love one day and get married and all will be well. And though this may be the case for many, there is still a step or two missing. From there, when someone truly discerns a calling from God to marriage, the process has just begun. It’s not so much about simply going out and “falling in love.” Rather, it’s about letting the Holy Spirit guide you to the person you are called to marry. When you meet someone I’d suggest you spend a lot of time in prayer asking the Lord for guidance in your relationship. Keep the relationship pure and Christ centered. Challenge the person to treat you as a child of God and with love and respect. And, of course, strive to do the same yourself. If Christ is at the center of that relationship and if you are continually seeking God’s will then little by little the Holy Spirit will confirm in your heart that this marriage is your vocation and that this particular person is called to be your spouse. I realize that many people may not follow this process of discernment so it’s also very important to note that once a couple enters into marriage, and especially marriage as a sacrament within our Church, God’s grace will be there calling you to now live the vows you made. Prayer to live those vows well is so essential these days. Many marriages are wonderful and fulfilling. But way too many bring great pain and hardship. Continually saying yes to your vows, being faithful to them, deepening your unwavering commitment and striving to give yourself to your spouse in the same way that Christ gave Himself to the Church is the key. And this requires much prayer. So prayer before and during marriage is essential. And to your last point about living together. This is a popular idea today. However, I can assure you that it is always a bad idea. It will always weaken the foundation of your vows and married life. Living together is not a “test marriage” since there is no permanent marriage covenant there yet. In fact, I’m confident in telling you that living together before marriage greatly increases your chances of divorce and an unhappy marriage down the road. The statistics support this statement too. So approach dating, engagement and marriage the way God’s grace leads you and you will not regret it!